These keto pancakes are soft, fluffy and so easy to make perfect for your next low carb breakfast or brunch. They are made with almond flour and coconut flour and are completely grain free, sugar free, gluten free and paleo friendly. Breakfast foods of any kind are an absolute favorite at our house. 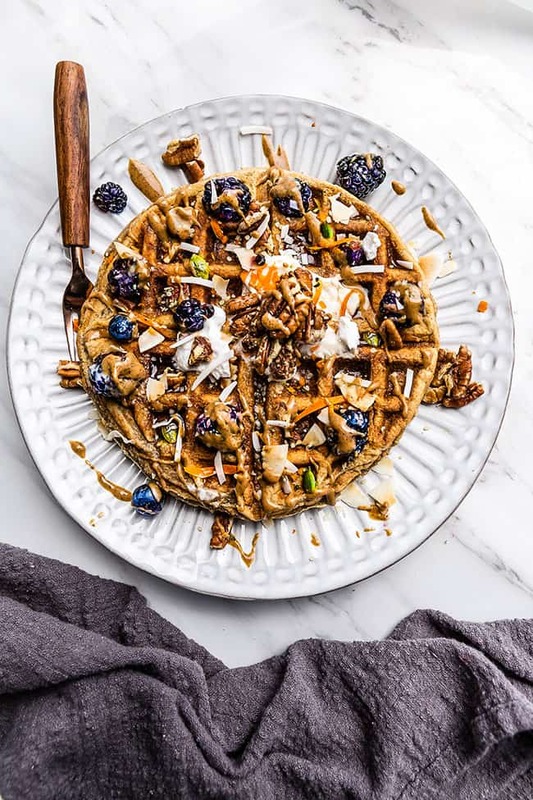 There’s nothing like waking up to a giant plate of crispy belgian waffles or fluffy pancakes on a cozy Sunday morning. 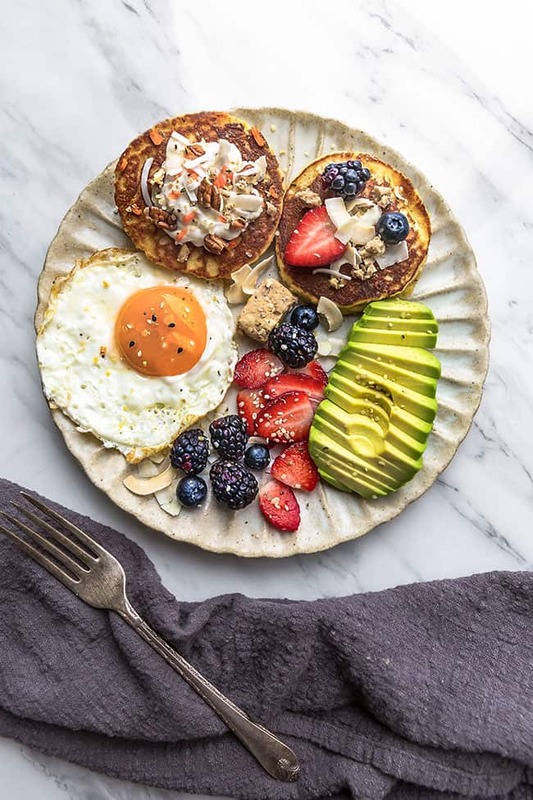 Ever since going on a grain free diet to help heal my autoimmune disorder, I’ve been on a mission to come up with the best keto pancakes to satisfy that weekend pancake craving. 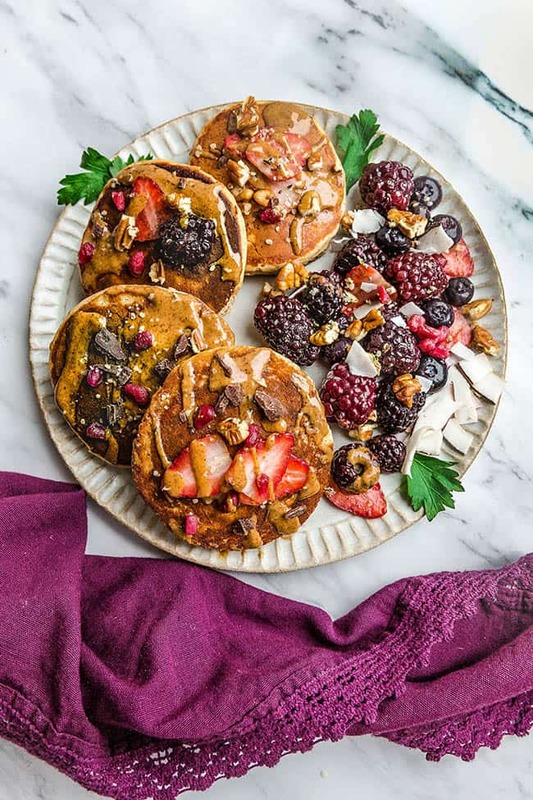 And although we already have a recipe for coconut flour pancakes on our site, these paleo pancakes are our new go-to pancake recipe. If you follow me on Instagram, you probably already know how much we love a big stack of light and fluffy pancakes. You can find a plate of our favorite keto pancake recipe on our Instagram feed every Saturday or Sunday. We’ve tested them and retested them over the course of two years to try to get that perfect pancake recipe. 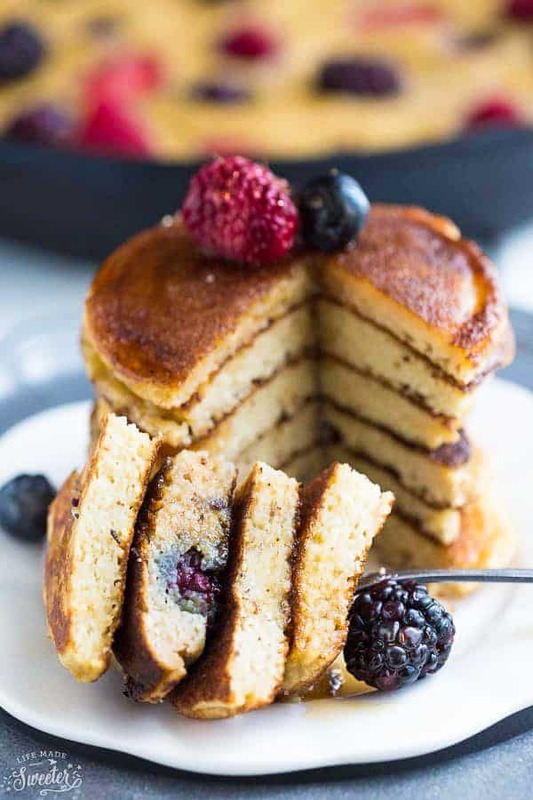 It took a few experiments to get the right texture we love from a classic pancake using a combination of almond flour and coconut flour. I’m happy to say that these almond flour pancakes passed the test. We love that this recipe cooks up thick, fluffy and packed with pumpkin flavor. My family proclaims that this recipe makes the pefect keto pancakes they’ve had to date. 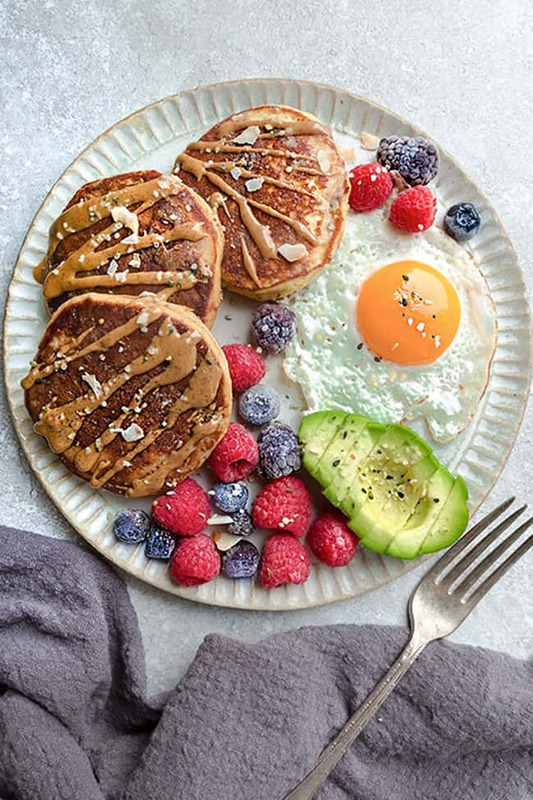 WHAT INGREDIENTS DO I NEED TO MAKE FLUFFY KETO PANCAKES? 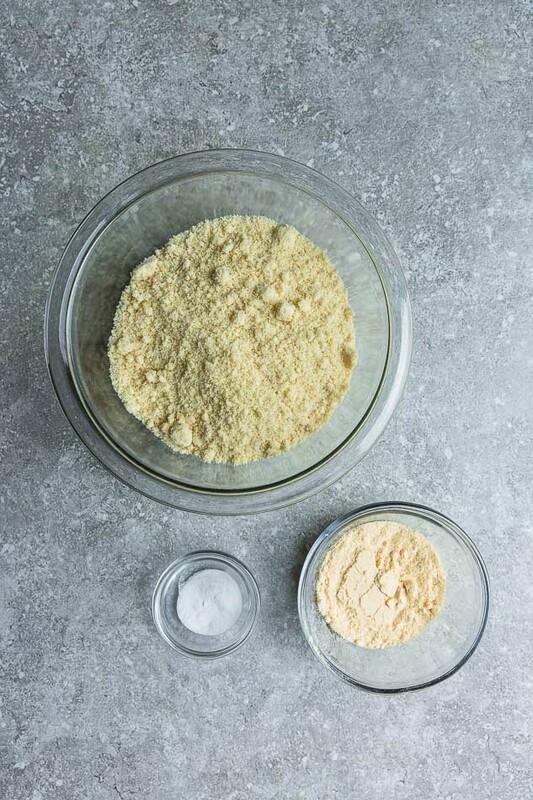 Almond Flour: Be sure to use superfine blanched almond flour and not almond meal. Almond flour is the main nut flour providing most of the bulk. Measure properly using the spoon and level method. Coconut flour: This gluten free flour provides structure to the cake and absorbs moisture so be sure to measure properly. When combined with almond flour, it balances out the flavor of gluten free cakes to mimic classic flour cakes. Spices: for flavor to make your pancakes delicious – use your favorites: cinnamon, nutmeg, cloves, ground ginger etc. Eggs: help to give the cake structure and bind everything together. Vanilla extract and salt: bring out the flavors from all the other ingredients. Granulated monk fruit sweetener: a low-glycemic sugar-free sweetener that resembles the taste of granulted sugar but is keto-friendly, diabetic-friendly and paleo friendly. If you don’t have monk fruit sweetener, you can swap with your preferred low carb sweetener like SWERVE, erythritol or stevia. 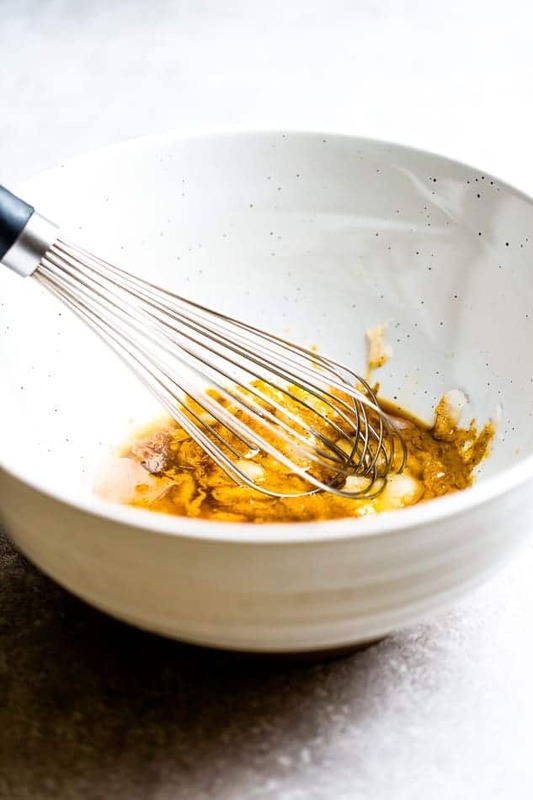 MIX THE BATTER: In a large bowl, whisk together eggs, monk fruit sweetener, pumpkin, ghee, vanilla and 2 tablespoons milk until smooth. 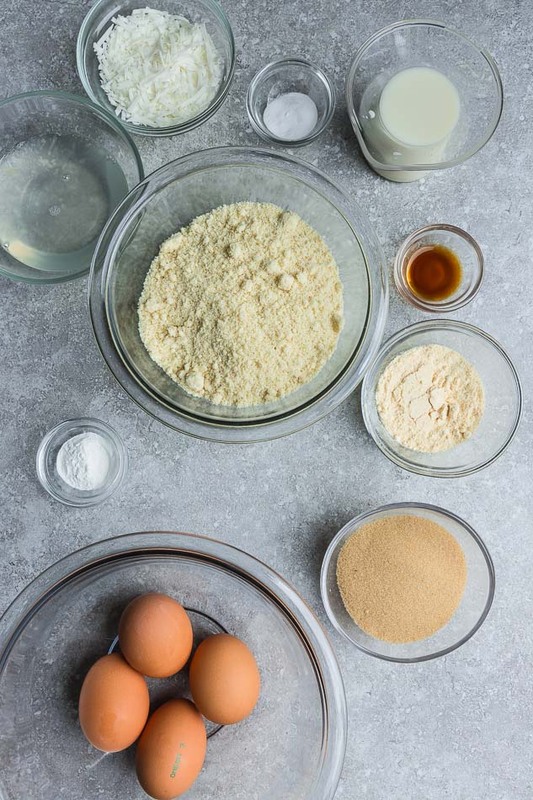 ADD THE DRY INGREDIENTS: Add the almond flour, coconut flour, cinnamon, salt, and baking powder and stir until the batter is just combined. If the batter appears too thick, add more almond milk 1 tablespoon at a time. If too thin, add a bit more flour. Let batter rest for 3-5 minutes. PREPARE YOUR COOKING SURFACE: Meanwhile, preheat griddle or a large skillet on medium heat. Spray with coconut oil cooking spray or ghee. MAKE THE PANCAKES: Drop scant 1/4 cup rounds onto the griddle. Cook until the edges begin to turn golden brown and bubbles form on the top, about 5-6 minutes. GENTLY flip the pancakes and cook another 6-7 minutes or until golden brown and the middle is cooked through. Serve warm with your favorite toppings. Since these keto pumpkin pancakes use almond flour and coconut flour, they do take a little longer to cook than your regular flour pancakes. Cook them low and slow so the middle cooks evenly and doesn’t end up mushy. 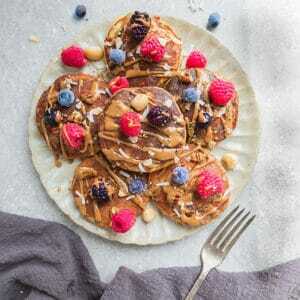 ARE LOW CARB PANCAKES FREEZER FRIENDLY? 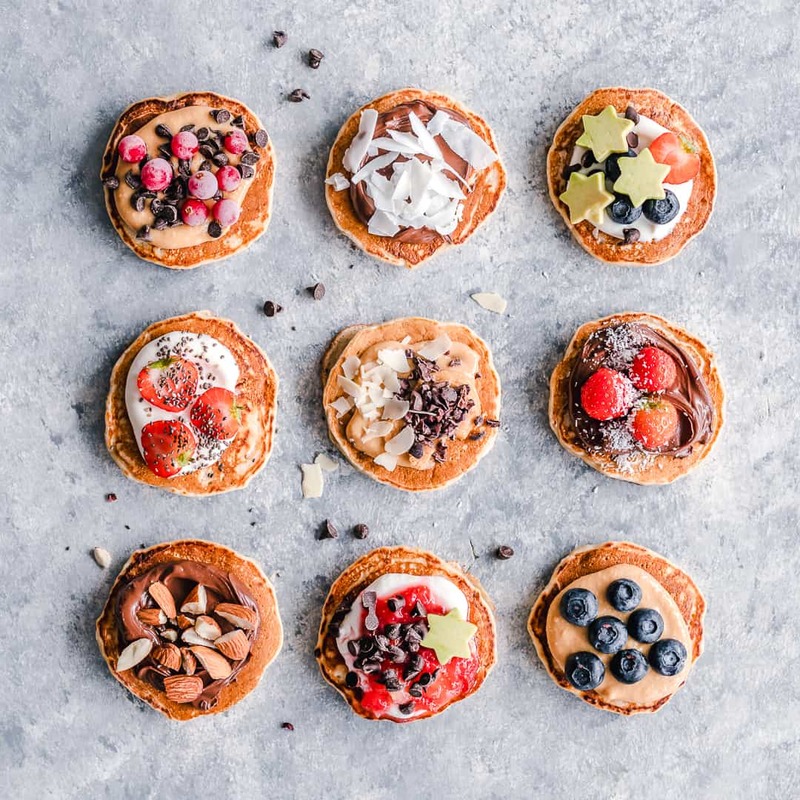 Absolutely, you can make these gluten free pancakes ahead of time and freeze them when you’re ready to enjoy them throughout the week. Line cooked pancakes on a baking sheet in a single layer and place the pan in the freezer for at least 30 minutes. Once the pancakes are firm, transfer to a resealable zip-top bag or an airtight container for up to 3 months. In a large bowl, whisk together eggs, monk fruit sweetener, pumpkin, ghee, vanilla and 2 tablespoons milk until smooth. 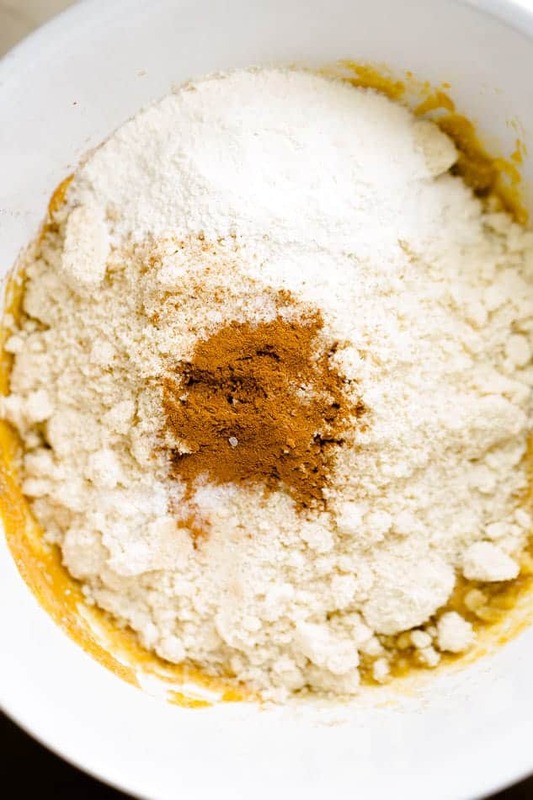 Add the almond flour, coconut flour, cinnamon, salt, and baking powder and stir until the batter is just combined. If the batter appears too thick, add more almond milk 1 tablespoon at a time. If too thin, add a bit more flour. Let batter rest for 3-5 minutes. Meanwhile, preheat griddle or a large skillet on medium heat. Spray with coconut oil cooking spray or ghee. Drop scant 1/4 cup rounds onto the griddle. Cook until the edges begin to turn golden brown and bubbles form on the top, about 5-6 minutes. GENTLY flip and cook another 6-7 minutes or until golden brown and the middle is cooked through. Top with sugar free syrup, chopped nuts, almond butter, melted ghee/ butter or whipped coconut cream, if desired. Thank you! Check your email for a confirmation link. Add lifem[email protected] to your email contacts so that you don't miss it. Once you confirm, you'll receive a link to download the printable!